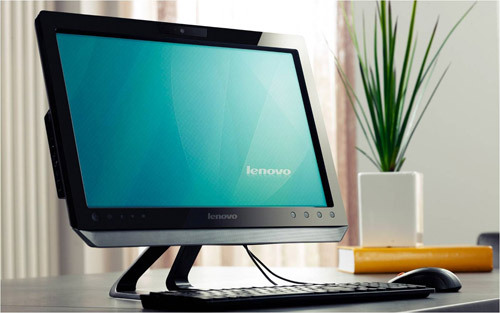 Lenovo C325 All In One PC With AMD Processor 1.65 GHz E-450. Lenovo's PC market is now going to target the middle to lower. One way is to launch a package C325 desktop PC, a PC with 20-inch touchscreen with optional features at a low price. Although the price is said to be cheap, but this computer has a pretty good quality. By using homemade AMD processors, ie processors 1.65 GHz E-450 makes this computer can display 3D images and 1080p via HDMI. However, Lenovo does not explain other features in addition to the DVD burner and E-450 processor. But certainly they will sell this PC package worth 699 USD.